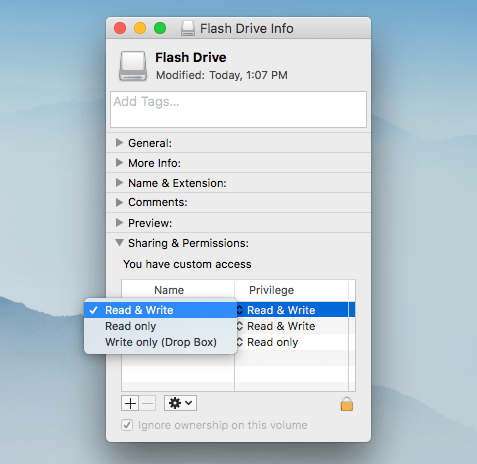 Duplicate File Remover Pro is designed to quickly find and remove duplicates on Mac. It allows you to find duplicates on internal and external disks, mounted volumes and network folders. However, to have the ability to operate duplicates on the external drives, you might need to have the appropriate permissions on disks. It may happen that, when you are trying to scan an external drive, Duplicate File Remover Pro shows you the following notification. It means that you can scan the volume to find duplicates, you can preview the duplicates and select them, but you will not be able to remove them. If you have Read Only permission, you cannot make any modifications and cannot remove files on the drive. To check the permission status of your volume, make a right click on the drive and select Get Info in the context menu. On the Info window in Sharing & Permission section, you will find the information about which type of access you have. Select Read & Write from the privilege type. Then click the Settings icon and click Apply to enclosed items. Also, you should pay attention to the General section of the Information window. 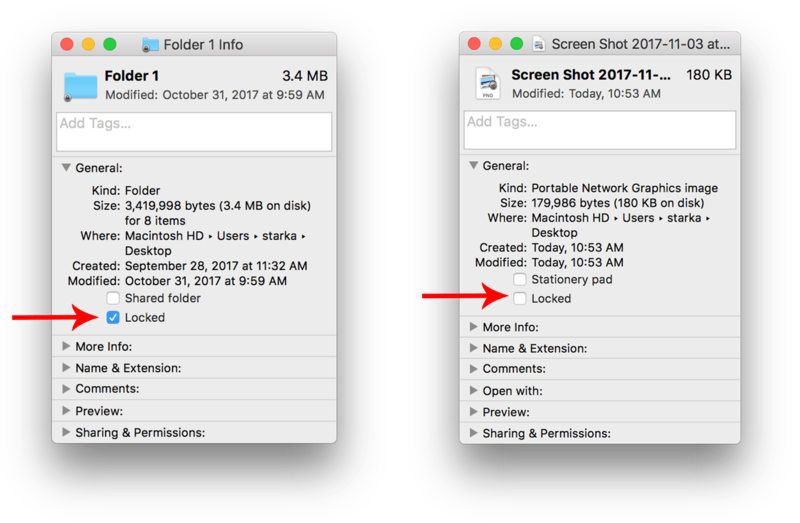 Check whether the folder is locked or not. If the folder is locked you can’t remove the files in it. Uncheck this option to be able to modify or remove the folder. Or check whether a separate file is locked or not. After getting the permission to operate files on the volume, you will be able to remove your duplicates with one click using Duplicate File Remover Pro. If you still have questions, contact us directly at [email protected].